This painting was done in preparation for a children's story that will be submitted to a publisher. The story is written by a local artist and good friend with illustrations being done by myself. This is the last illustration for the book. 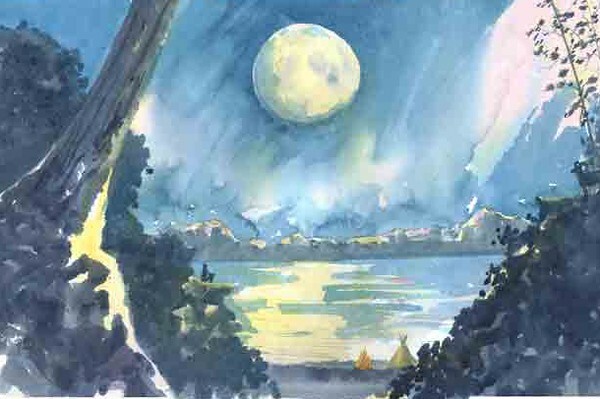 A young Indian boy, whose name is White Moon (see him on the rock beneath and to the left of the moon), sits quietly above his tribe's encampment, staring up at the full moon, finally at peace with his place in his community and in the world.